Dance Mogul: What was it like growing up in queens? 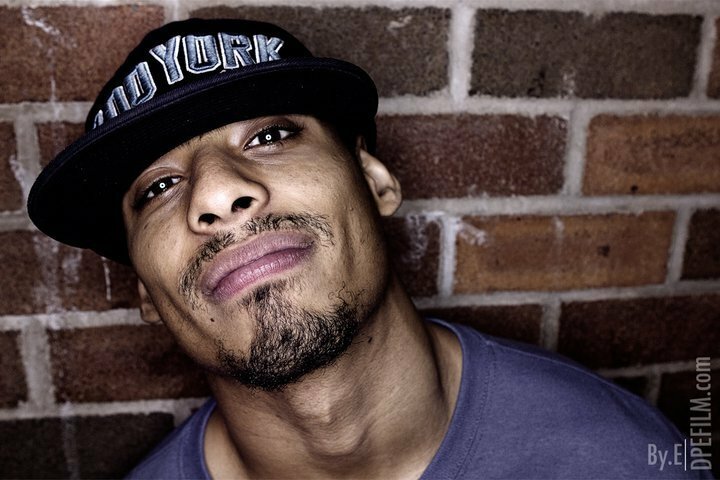 Frank Perez: Growing up in Queens was cool because there was alot of hip-hop around me coming up, whether it was seeing Juju from the Beatnuts getting a haircut at the same barbershop as me or practicing at the famous graffiti spot 5 ptz in my younger days it was all their pretty much. So many of the greats come from here as well so I was always proud to rep it and develop my craft there. Like any neighborhood there’s its bad parts as well, but i started dancing at 13 and that along with school and basketball pretty much kept me busy and out of trouble. Dance Mogul: Who where some of your early influences in dance? Frank Perez: Some of the earliest influences in my dance were from people who are actually in my crew now, which is actually a really dope feeling when the people you look up to actually become your peers. B-boys lik Rocism, Jiggz, Wildchild, Omen, and Kwon effected me both directly by how they danced and indirectly by thier words, conversation, personality, and ideas. I took all those things and incorporated it into how I felt when I danced. A big part of how I move is a product of my own individualism but also wrapped in the aura of those people and others that I’ve met along the way as well. Dance Mogul: How often would you practice? Frank Perez: When I was younger I would practice about 5-6 days a week and on atleast one of those days their would be a double practice. I was never really one of those dancers with alot of natural talent so that amount of intensity was really what it took for me to be at the skill level that I’m at today, but I would recommend that to anyone trying to get good at whatever type of dance their doing, especially if their young and their body can handle it.Nowadays I’m training atleast 4-5 days a week on top of weight training as well. Its still the same amount of intensity for most part but just a smarter approach since I’m taking care of my body and eating healthy too. 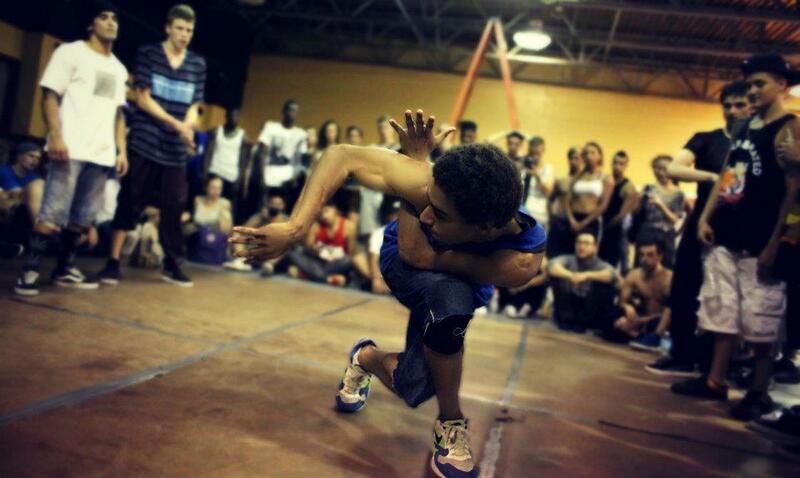 Dance Mogul: When did you realize you where ready to compete and go professional? Frank Perez: There was no sudden epiphany that came to me saying I was ready to compete, although with everything that I’ve learned up to this point I’d say one should start going into competitions once they have their own style, that way they have something to offer. But the reality is that anyone at any skill level can enter a competition and in the beginning stages of ones dance they can serve as a learning tool as to what one needs to work on in order to become better. The first competition I entered my friends asked me to join and at first I wasn’t sure if i was ready but I did anyway, and that was a learning experience. There also is a specific criteria for bboys that defines when they’re “professional”. Once you start making money from it than your professional “-ish” and when you depend on it as your sole source of income than I would say that one is professional, but even that doesn’t necessarily depend on one’s skill level. Dance Mogul: Tell us about your different experiences overseas? Frank Perez: One of the dopest experiences I’ve had in another country was in this small town called Inukjuak in the Canadian Arctic. To this day I’ll say the work I did traveling with the Canadian company BlueprintForLife was one of the most significant things I’ve ever done with my dance. First just being one of the few people to visit this exotic part of the world, seeing the Northern Lights, experiencing below Zero weather on daily basis was an experience in itself. But most importantly we were there to provide bboying as a tool to deal with alot of the social problems going on in the region, and seeing the transformation of the kids during that week long project was something that was very empowering because it made me realize that what I do as a bboy has the power to change lives. Also traveling to the Ukraine as my very first time overseas was a cool trip because it was about a 19 hour voyage to this town called Dnepropetrovsk to judge a competition with bboy legends Storm from Germany, and Freeze from Sweden. It was my first time seeing how bboys in another country cypher in their home and party too. Being in another culture for the first time is definitely an eye opener. Every trip is special though whether its traveling to compete, judge, or teach workshops and I could go on forever really on how unique each one was lol. Dance Mogul: What do you feel qualifies to be a judge and a mentor at competitions? Frank Perez: While having a high skill level is a pre-requisite, its not the only thing that should determine who is able to judge. Being able to tell the difference between original and un-original moves is very important as well as not being swayed by the cheers of a crowd also. 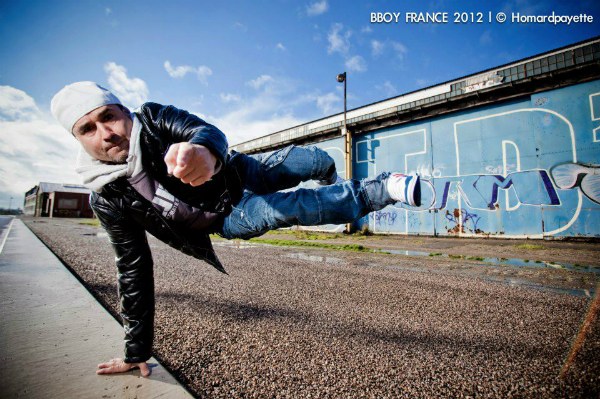 Judging bboy competitions is very subjective to begin with but I think those things are essential for any judge. Dance Mogul: How to the U.S Embassy opportunity come about? Frank Perez: The opportunity to work with the U.S. Embassy in Bahrain came about through an event that I organized in June called The Flavor Layer. I hired a DJ named Edan who’s also one of my favorite Hip-Hop artists. Edan is extremely talented and known world-wide through out the independent hip-hop scene. After the event I was speaking to him and his manager about his most recent trip to the Middle East working with the embassy to teach DJ workshops. They were both feeling how I was as a person, the way I danced, what I did with the event, and I was very interested the project so Edan’s manager suggested me to their contact at the embassy and the rest was history. Frank Perez: I’d say to today’s younger generation is to dont try to be like whoever they look up to but better than them. That way they help the dance evolve and push to the next level. Also just BE ORIGINAL.